ca. 600 - 580 B.C. Heracles wrestles Nereus, the old man of the sea. The marine god is depicted with the head, arms and torso of a man and the fail of a serpentine fish in place of legs. He wears a short chiton and a panther sprouts from his tail--symbolizing his powers of metamorphosis. 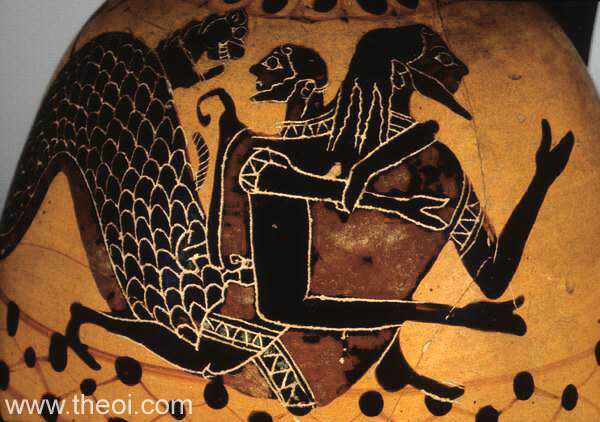 The figure could also be Triton but the chiton and shapeshifting suggest the elder Nereus (compare image P10.1).